As a Certified Nutritional Practitioner, I have encountered my fair share of allergy issues in my clients over the years. I grew up on a honey farm and as a result had access to large amounts of local honey from my parent’s bees. In our tiny honey shop where we sold our honey, I often witnessed my mother suggest to our customers the merits of using local honey for allergies. I also observed many instances of happy customers stopping in to tell her of their success with this safe, natural and delicious protocol. 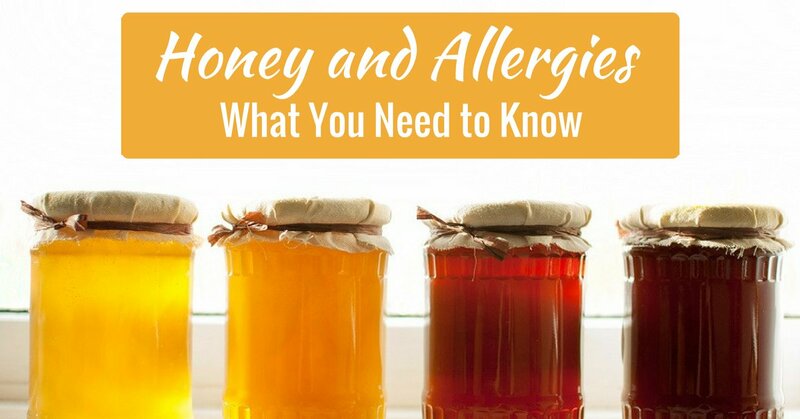 The topic of using local honey for allergies now comes up often. Truth be told, the number of allergy cases I am coming across is increasing dramatically. Why this is is hard to say exactly but it likely has to do with massive toxic load now placed on each and every one of us which in turn causes immune dysfunction and the resulting allergy symptoms. Raw, local honey contains bits and pieces of bee pollen, propolis and even beeswax. What does this have to do with solving your allergy problem? Quite a bit actually. The reason you have an allergy to a particular plant, tree or grass is because you’ve been overexposed to it at some point in your life. Almost all of us have some level of immune dysfunction happening in our bodies meaning our immune system either under or over-reacts to invaders, harmless or not. Your overexposure to this pollen developed into an allergy (over-reaction) and now your immune system regards this pollen as an invader, even though it might be harmless Golden Rod or Aster. Whenever your immune system senses it in your body, you get allergy symptoms. 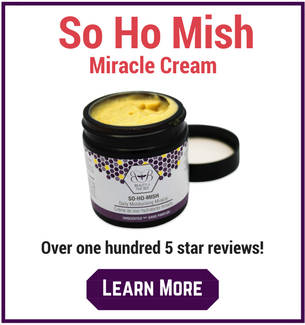 So what does this have to do with using raw, local honey for allergies? Lets say for example that you have an allergy to Golden Rod as it is present in your local area and you were overexposed to it at some point in your life. Honeybees happen to pollinate Golden Rod and as a result, very small amounts of Golden Rod pollen will be present in the honey produced by these bees. When you consume this local honey, you will be ingesting very small amounts of the allergen - Golden Rod. It would be fair to expect that consuming more of a substance that you are allergic to would only cause more allergy symptoms. But this is not the case when using honey for allergies. As recent scientific studies have shown, honey has very strong immune modulating (balancing) properties. One study in the International Archives of Allergy and Immunology found that patients reported 60% less allergy symptoms and 70% fewer days with severe symptoms while consuming a local honey over a five month period. It seems that by exposing yourself to tiny amounts of the pollen that you are allergic too through honey, your immune system becomes less sensitive to the allergen. I liken it to undergoing a full course of allergy immunology injections without the pain and discomfort of having needles stuck in your body. One visitor to Bee Pollen Buzz, lets call her Stacey, reported to me that her and her family members experienced severe allergies each allergy season. She initially began taking 1 tsp of raw, local honey per day and within a matter of weeks, she was off all meds and had almost no symptoms. In my experience, this is quite a rapid response and not the norm but an example of what is possible. I suggest consuming several teaspoons of raw honey per day for several months in advance of allergy season for best results. 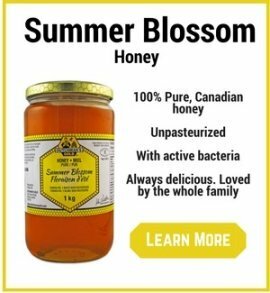 Using a honey from as close to where you live as possible is also recommended although I am finding, and research is beginning to support that any good quality raw honey is beneficial for the immune system and may be beneficial for your allergies. 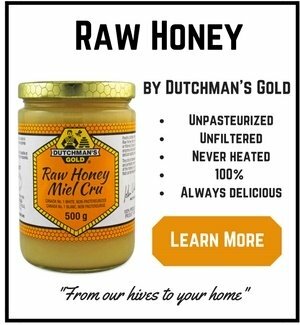 Raw honey is filled with healthy, natural bacteria like acidophilus which are wonderful for gut health. A very significant portion your immune system resides in your gut so it is only natural to suggest that consuming these 'good' bacteria from honey and improving the health of your G.I. tract can lead to a more balanced immune system. It has been my experience that strong immunity always begins with a healthy functioning digestive system. "I'm on my 2nd day of local honey usage and by the favor of God's creation....I have no symptoms. For the past 13 years since I moved to Maryland I've been a chronic sufferer during the spring. This year I can enjoy the beauty of the other great things that God has created!"